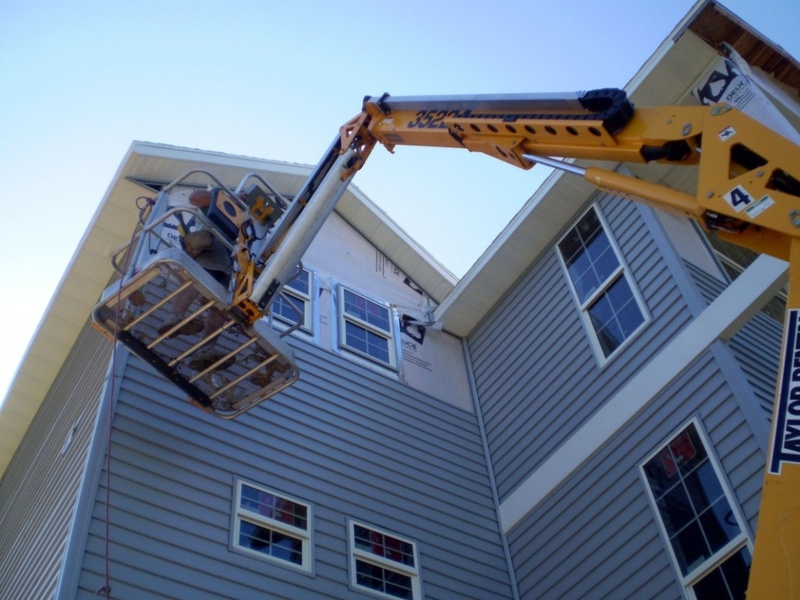 Choosing your siding system and siding contractor is an important decision; after all it is your home’s first line of defense from the elements and the greatest contribution to the curbside appeal and beauty of your home. There are many factors to consider including design, energy savings, maintenance, price, and longevity of the product. If you’re located in the Denver metro area and interested in replacing your siding call Genesis to schedule a free, no obligations quote. Vinyl siding is available in many colors and different textures, it is affordable, requires minimal maintenance, and holds up well against the elements. The color is distributed throughout the material therefore nicks and scratches are not easily detected by the eye and will not require maintenance painting. New to the market is an optional energy efficient insulated product reducing energy cost and outside noise. Vinyl installation is lightweight, easy to handle, and can be installed fairly quickly resulting in lower labor costs. Fiber cement siding is highly regarded for its durability; it consists of a mixture of cement, clay, sand, and wood pulp. We recommend James Hardie fiber cement products for your Colorado mountain home as it is resistant to the weather, flame spread, and insects. Fiber- cement siding is designed to resist expansion and contraction with changes in humidity and temperature. This siding is 5 times thicker than vinyl, readily accepts paint, and is fairly low maintenance. They offer color plus technology where the color is baked into the material and minimizes the need for maintenance painting. Wood siding is sought after for its natural beauty and charm. We recommend the installation of cedar wood sealed with a semi-transparent stain to highlight the grain. If you choose a lower grade wood you will want to finish with paint or opaque stains. With proper maintenance, your wood siding can last generations; be prepared to paint and or stain every two to five years. For those of you looking for a green option; wood will break down easily and naturally over time rather than sit in a landfill for hundreds of years. Stucco is a beautiful siding option made of natural materials including a mixture of sand, cement, and water. It is manufactured in multiple colors and pairs well with other siding materials to accent your unique design. It is a durable material known to last 50 years, is fire resistant, but does not hold up against heavy rains as well as other siding options. The installation is a delicate multi-step process and demands a skilled installer; Genesis’ backs up our work with a 5 year workmanship warranty.